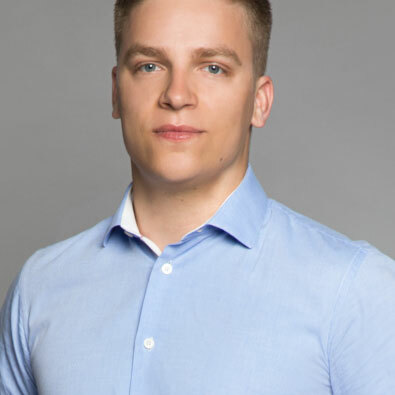 Janis is a co-owner and CEO at Baltic3D.eu which is the leading 3D printing service bureau in the Baltic States, providing wide range of technologies and solutions. The company has established leading role in industrial 3D printing offering high quality service and the best in class additive manufacturing equipment. For the last year Janis has been involved in a 3D modelling software project – WiDE. More specifically, the software uses artificial intelligence algorithm to customize 3D printable prostheses and orthoses to fit the individual wearers needs. The software enables to create individual supportive devices based on a 3D scan of the limb and does it in minutes rather than hours. Janis believes that involving AI and advanced technologies, has a huge potential to help people with special needs. Technology advancements and human creativity will open up new horizons and possibilities for human body. Janis is passionate to push the limits and be in the frontline of adapting these technologies. This independent TEDx event is operated under license from TED. Copyright © 2016. Developed and supported by Word Of Mouth Labs.